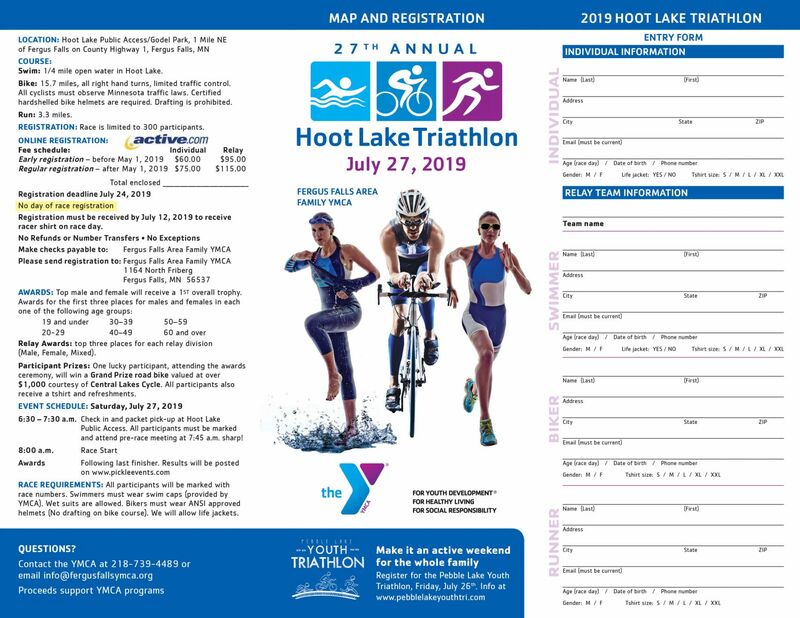 The 27th annual Hoot Lake Triathlon is scheduled for Saturday, July 27, 2019. Register online at www.active.com or at Fergus Falls Area Family YMCA. There are various accomodations in Fergus Falls and the surrounding area for you and your family to make it a weekend in Fergus Falls. 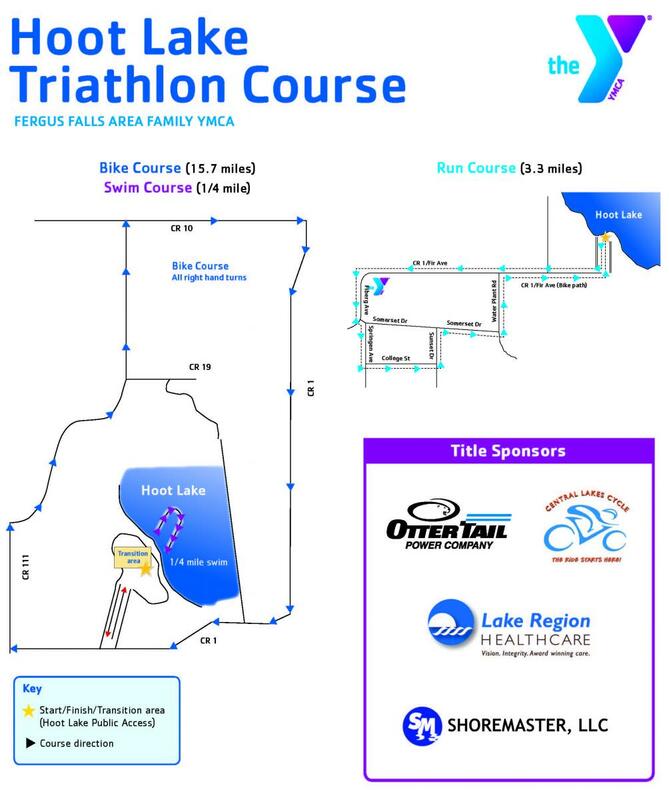 Check all the things you can do while in Fergus Falls for the triathlon. Find & Register For Programs Today! Copyright © 2019 Fergus Falls Area Family YMCA. All Rights Reserved.